Project WOTO - KMMIE - Warner Bros. Team Bondi became KMMIE in August 2011, when George Miller showed interest in a game development studio, and partnered up with Brendan McNamara. The remaining members of Team Bondi formed the KMMIE crew, and we began development on our last project, WOTO. 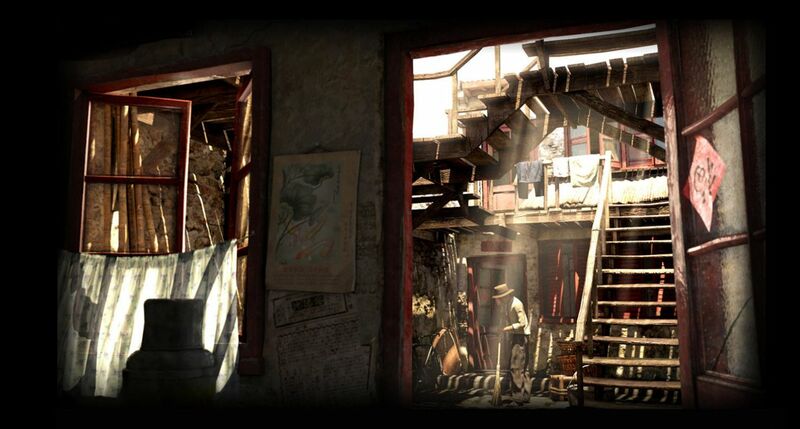 This game was set in Shanghai during the 1930's, during a revolutionary time with an incredible cross culture environment. Please contact me if you need work samples from this title. After production this was edited together from the outtakes that actually happened during the actor scans. This video is an insight to the potential of our scanning technology. These heads could have been stuck on any character in any environment we chose. This project was my first jump out of freelance, and the beginning of my four and a half years in Sydney, Australia. I was able to work with an amazing crew and some incredible new technology, and we developed a title that sold nearly 5 million copies. I was a Character Artist, responsible for Cole Phelps, the main character, in all but two of his outfits. I was also in charge of the majority of the Case Partners, the Police Captains, all of the homicide case victims, and most of the other dead characters as well. This is my old personal work demo reel, last updated in 2008.